A new post has been created for road closures, traffic updates and closures and cancellations for 2.11.19 at the following direct LINK . Maui Electric is asking affected customers in the Olinda and Pi‘iholo area as well as parts of Haʻikū along Kokomo Road and Kauihikoa Road to prepare for an extended outage with the possibility of an overnight outage. Full story at following LINK . Traffic signal flashing at Puʻukoli and Honoapiʻilani Highway. State transportation crews are responding to 14 reports of fallen trees/branches on Hāna Highway between Miles 0 and 15. Due to power outages throughout the county, the Department of Water Supply is advising all customers to conserve water until tomorrow (Monday, Feb. 11, 2019). At this time, water storage tank levels are dropping and the Department is unable to run pumps to fill them. Once power is restored, water levels should return to normal levels. Tree down on Crater Road at Mile 9. State Highways crews are onsite. There is a partial road closure and power outage on Piʻiholo Road due to a downed power line. There is also a partial road closure on Olinda Road due to trees knocked down by strong winds. Power is out in the Kahului area including at Kahului Airport. The airport is on back-up power with no operational impacts to flights. As always, please check flight status with your airline before leaving for the airport. Maui Veterans Highway closed approaching Kahului due to a motor vehicle collision. Cars being routed to Hansen Road. Power outage reported in Kahului. All signals in the area are reported out. Traffic signals out on Kaʻahumanu Avenue in Kahului/Wailuku at intersections with Papa/Wahinepio, Kanaloa, and Lunalilo. 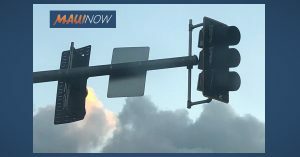 Traffic signals are currently flashing at Kūihelani at Maui Lani, Puʻunēnē at Papa, Puʻunēnē at Wākea, Puʻunēnē at Kamehameha, Hāna Hwy at Wākea, Hāna Hwy at Airport Access Road, Maui Veterans Highway at Hoʻokele and Maui Veterans Highway at Hansen. The traffic signal on Kuikahi is now working. The state Department of Transportation reports that traffic signal lights on the Honoapiʻilani Highway at Waiko Road and Piʻikana are still out. There is a report of a tree down on the Kula Highway by the post office. The state Department of Transportation reports that traffic signals on Haleakalā Highway are now operational. Maui Electric Co has confirmed a power outage in the Haʻikū area and parts of Kula. Crews are responding. There is no estimated time on when power will be restored. The State Department of Transportation is responding to a report of fallen tree on Hāna Highway in the vicinity of Mile 14 or 15. Motorists can expect delays as work crews respond to the scene. Tree down on Honoapiʻilani Highway south of Kai Hele Kū Street. Crews from the state Department of Transportation are responding. Honoapiʻilani Highway is partially closed at Mile 18 as a large tree is down across the southbound lane. Police are running contra-flow until the tree can be safely removed. Motorists are advised to drive with caution and expect delays. 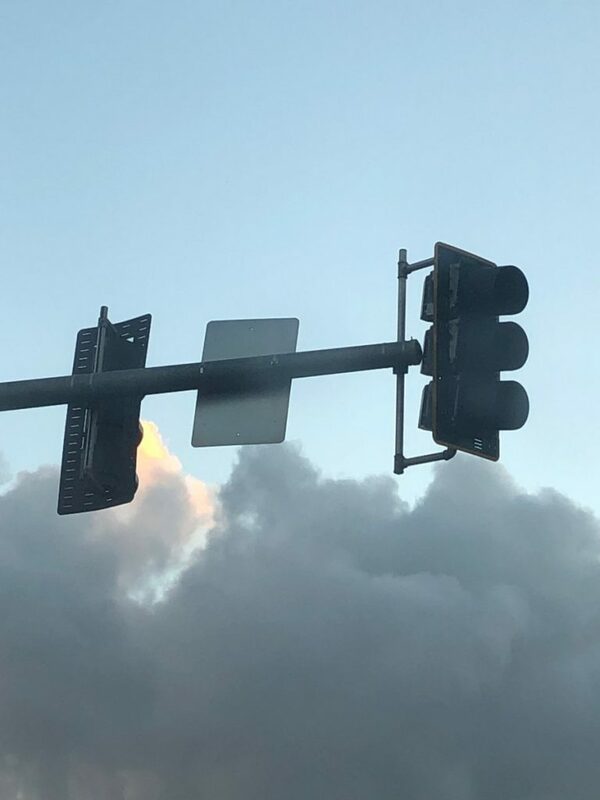 Traffic signals on Haleakalā Highway on Maui were impacted by the storm and are flashing. A contractor is responding. Traffic signals on Honoapiʻilani Highway at Waikō Road, Piʻikana and Kuikahi are out due to a power outage. Motorists should treat flashing red lights as a four-way stop. 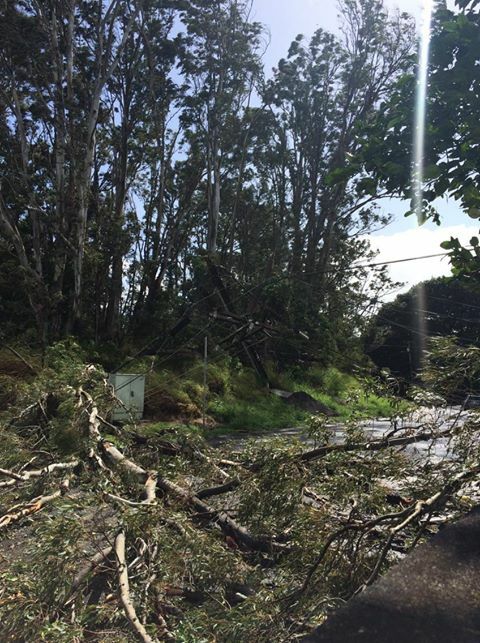 Motorists are advised of a downed power line and tree at the corner of Hāliʻimaile and Leie Street. Bystanders report wires across the road. Note: Residents and visitors experiencing an emergency should call 9-1-1. To report of storm-related damage and problems, call the Maui Emergency Management Agency at (808) 270-7285.